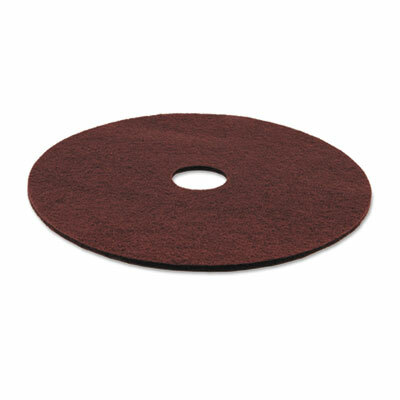 Preparation pads prepare surfaces for polishing and refinishing. Non-ammoniated no rinse floor stripper. 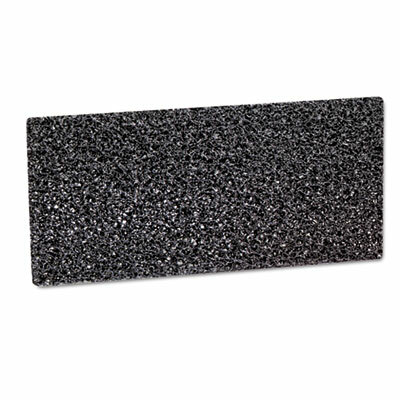 Heavy-duty scouring pad for cleaning and stripping. 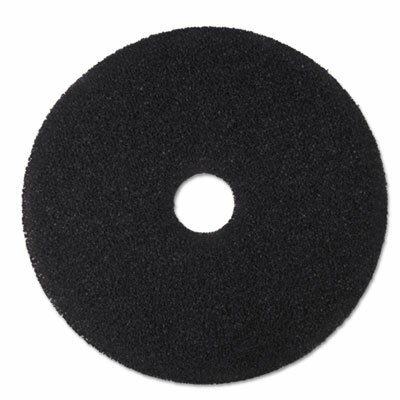 An ideal replacement for wire brushes or for situations where you need aggressive stripping power. 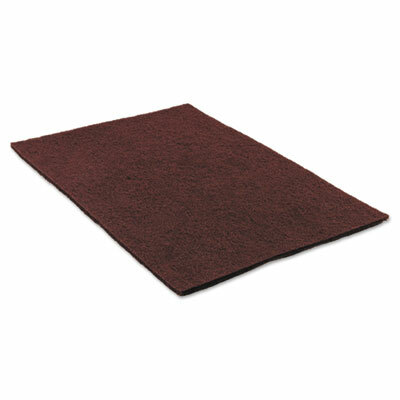 Requires only neutral cleaner or water to effectively remove floor finish and prepare for new finish application. 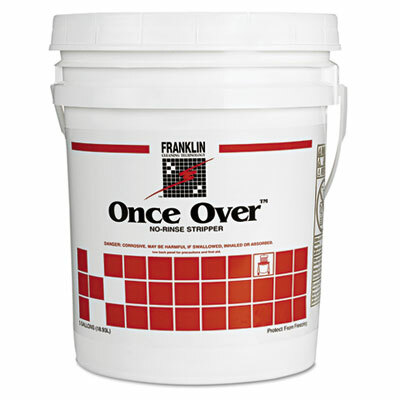 Flexible; use on vinyl tile, marble, terrazzo, concrete and other floor types. 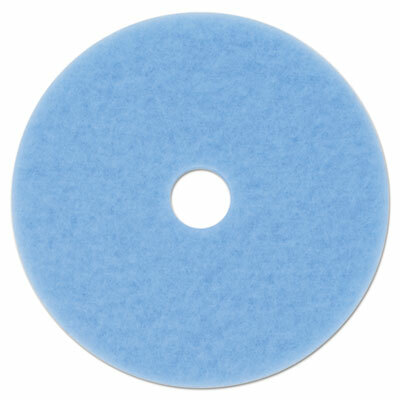 Sky blue hi-performance burnishing pad. 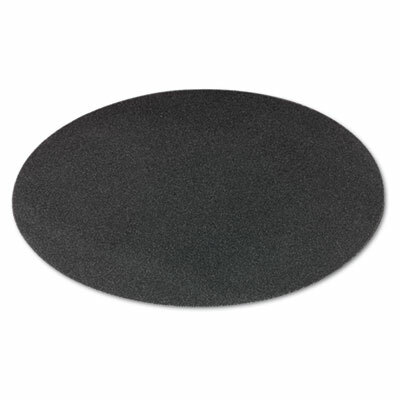 Designed for softer floor finishes where frequent burnishing is required. 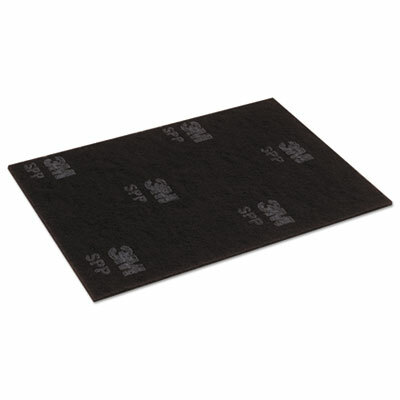 Long-lasting; produces less dust while minimizing point build-up.